See it in action at the top of this page! Updated to v2 - see what is new! 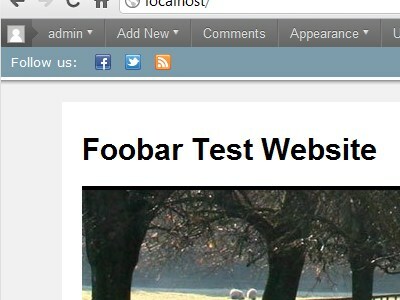 Tweets, RSS feeds, social profiles, custom HTML, you name it - Foobar can handle it! Create as many notification bars as you like. And manage them all from the WordPress backend. Then decide which bar you want to display on which page or post, and select which bar you want as your default. Check out the demos to see what we are talking about. You can override what the Foobar is called. 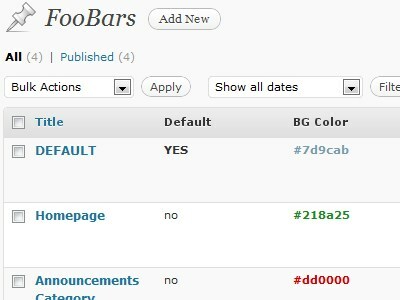 We realise that “FooBar” is not the most intuitive name to display to website admins or clients, so you can rename Foobar to something more meaningful, like “Alert Bar”. 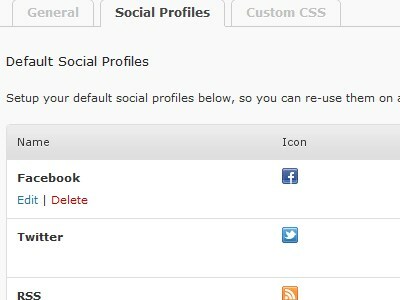 Setup your default social profiles that you display on every Foobar. You can then customize them per individual Foobar. Show them on the right or left. Or don’t display any social profiles at all. Each Foobar can have different colors, different heights, different borders, different open/close button themes. A Foobar can be fixed at the top of the site, or it can be inline, so that it scrolls out of view. Set your Foobar to display after 3 seconds, or only show it once your visitor scrolls the page. 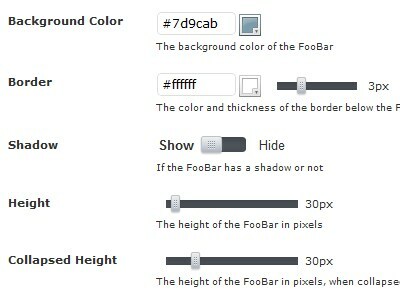 There are an unlimited number of ways to customize the Foobar! 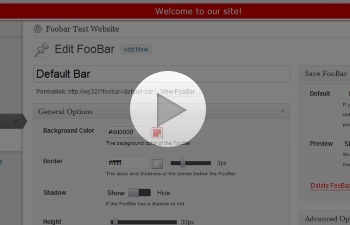 Style your Foobar messages to suit your needs and match your site’s theme. 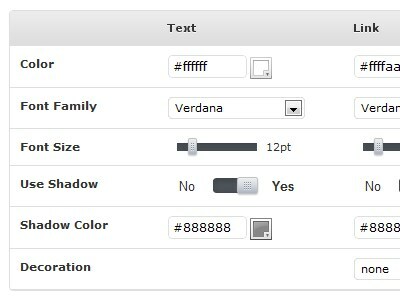 Every aspect from color, font, shadows, borders, and more, can be customized. The Foobar messages can contain any HTML. But the right and left section can also contain custom HTML. Add your Facebook like, Tweet and Google+ buttons. 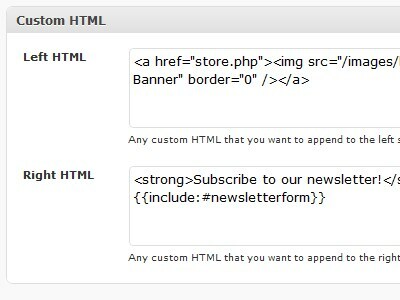 Or include a newsletter signup form or a website search form. You can define multiple messages for each Foobar. 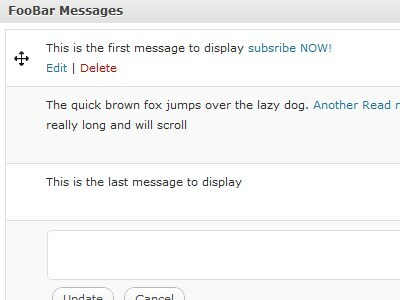 Easliy add new messages (which can contain HTML). Then easily reorder them using drag and drop. Automatically include your latest tweets into the Foobar. 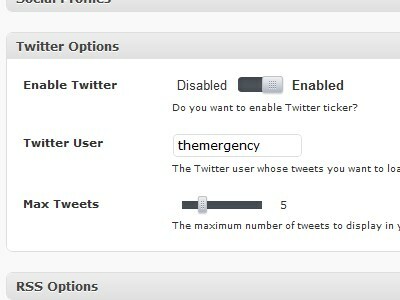 Define from who and how many tweets you want to show and they will be added after any messages. 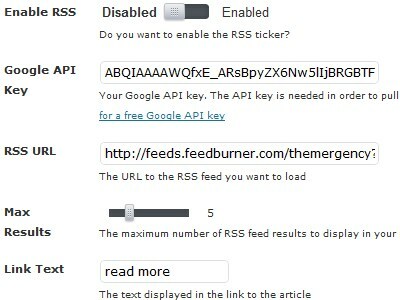 Include an RSS feed into your Foobar to display the latest posts from your blog. Or include someone else’s feed to promote their blog. Are you sure you like the look of that Foobar? Well, demo what your Foobar will look like before it goes live. 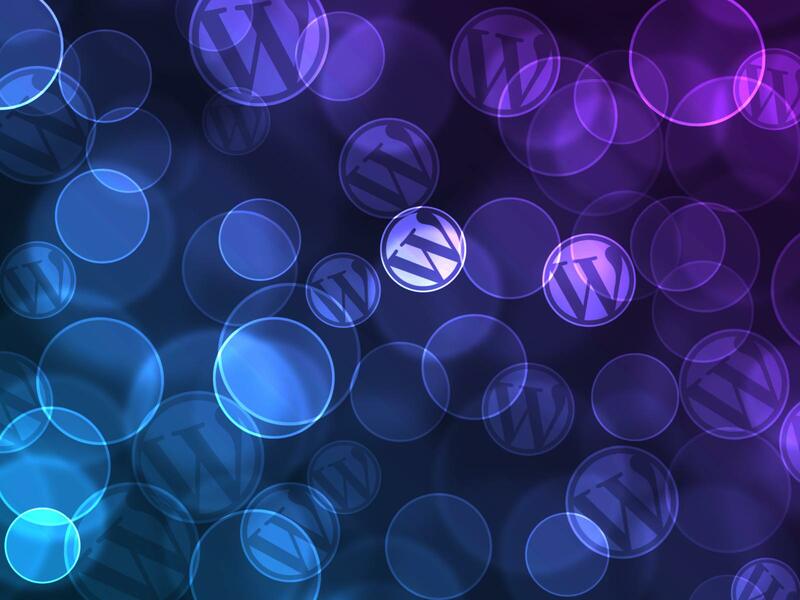 See it in action right from within the WordPress admin. You can also turn off the demo if you like (but why would you?). 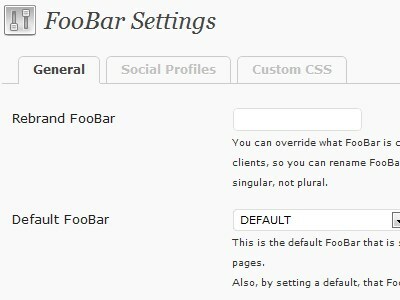 Foobar was built using core features within WordPress 3+. 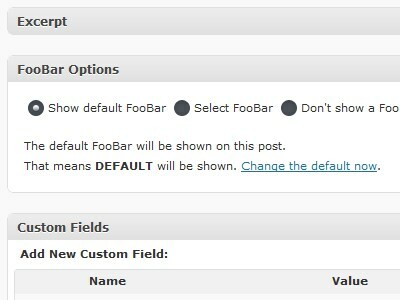 We use custom post types to store the Foobars. We use custom metaboxes to display all the options. We utilize the Settings API to store all your settings. 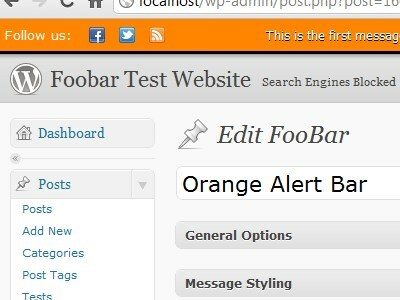 We also took the WordPress Admin Bar into account, so both bars work nicely together. Oh, and did we mention Foobar supports shortcodes in the messages and custom HTML sections?